Early in February the Parish Council sought discussions with Thames Water about the water mains running through Hambledon, in particular along Church Lane, Rock Hill and Lane End where there had been serious bursts during the previous six months, and about pressures in the various mains. 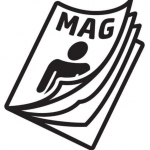 A representative of Thames Water attended a Parish Council meeting in March. Below our photograph of one of the leaks is the latest response from Thames Water, following that meeting. We have repaired three burst water mains recently, one in Lane End and two in Rock Hill. These were separate leaks on an 8’’ clean water main. This main transfers water from Hydon Ball Reservoir to a Water Booster station. We appreciate when our mains burst it can cause real disruption to the local area and can interrupt customers’ supplies and apologise for the disruption. 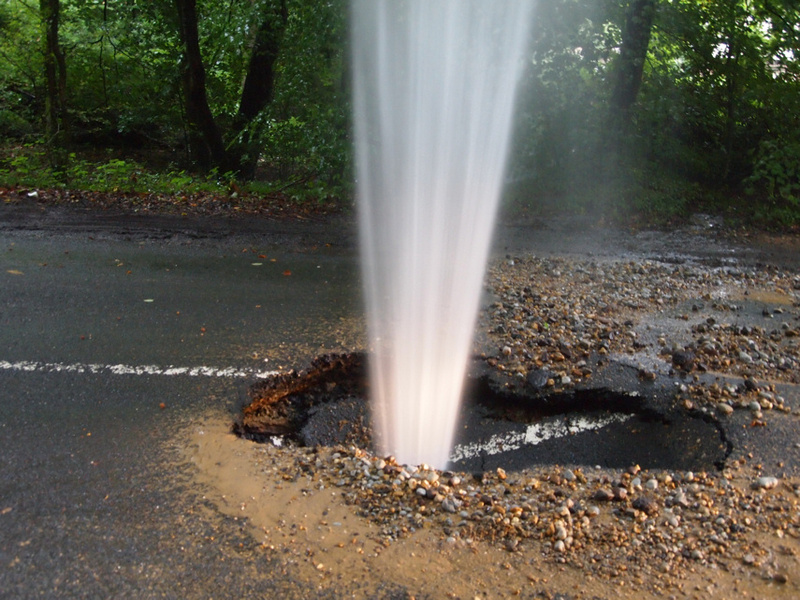 We have been working closely with Surrey County Council highways department to ensure any roads affected by the leaks are returned to an acceptable state. We have agreed a larger area of road that shall be re-surfaced following the most recent leaks at Rock Hill. We have investigated recent reports of further visible leaks in the area and tested any standing water but have not found evidence of any leaks. 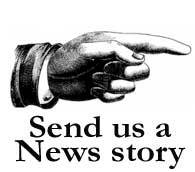 The Parish Council has arranged for blocked pipes and culverts along Hambledon Road to be jetted to remove blockages. The work will start on Monday (March 10). Despite roadside ditches being cleared last year, most are now silted-up following the excessive rain in the past two months. The problems this causes are compounded by the fact that some pipes and culverts under the road have become blocked through lack of maintenance by the Highways Authority. Surface water has no escape and gathers on the road. 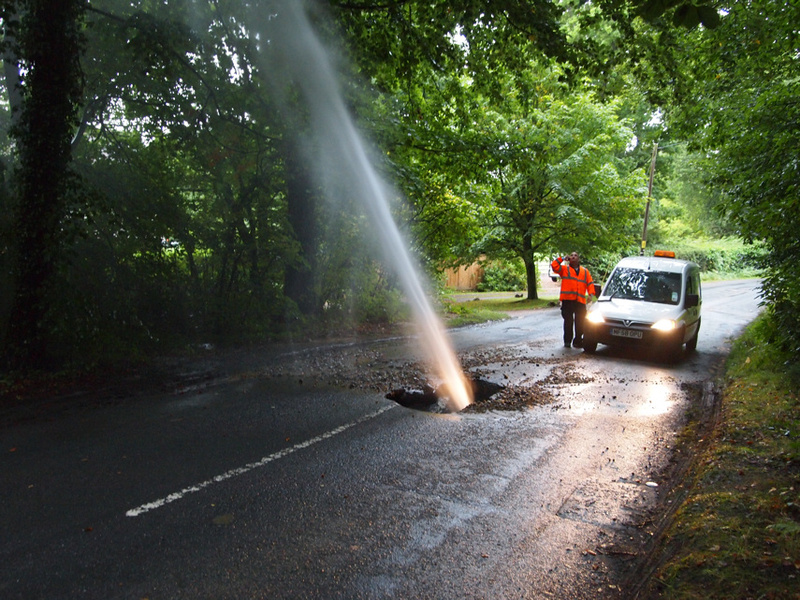 Specialist jetting equipment is needed to remove debris from inside pipes and culverts. 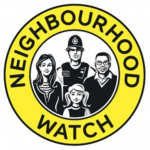 With the help of a grant of £1,000 from Victoria Young, Hambledon’s ward county councillor, contractor CCI will undertake this work, starting on Monday and lasting three days. CCI will work north from Church Lane towards the Hydestile Crossroads. Road width may be restricted where the contractors are working but access will be maintained. Local farmer Peter Knight has kindly agreed that any silt removed during the work can be disposed of on his land at Feathercombe. Hambledon residents are to be compensated for the power loss they suffered over Christmas. The whole village was without electricity for much of the festive period with some parts cut off for four days as a result of severe weather. Scottish and Southern Energy Power Distribution has announced that it would pay £54 to customers who were without electricity for 48 hours and a further £54 for each subsequent full 12-hour period without power. Those affected for any length of time on Christmas Day would receive £75. 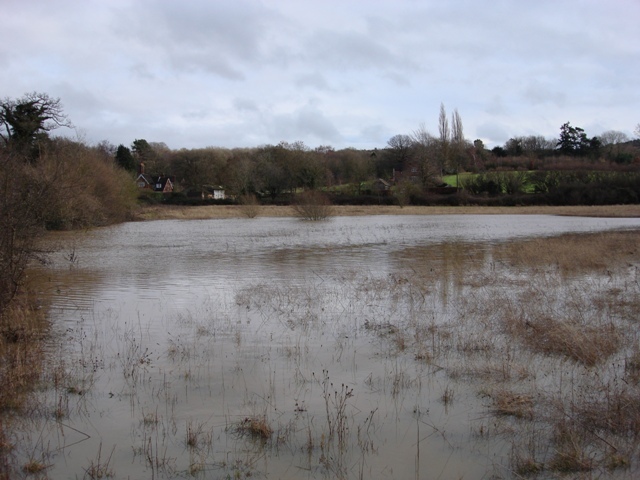 In the meantime wet and windy weather continues and some residents have experienced problems with minor flooding, mainly as a result of water running off the common into low lying areas. 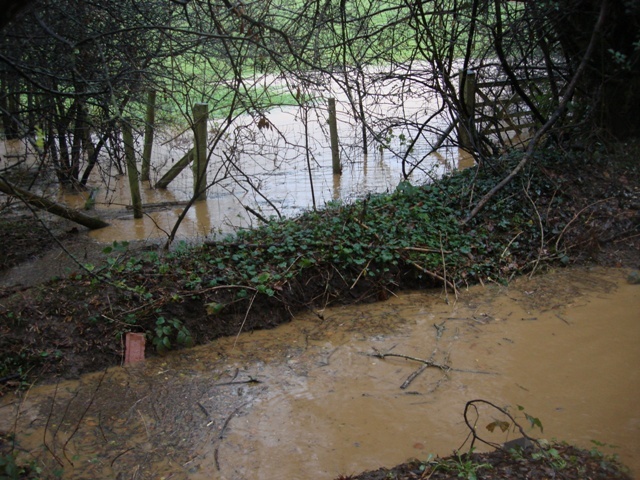 And Hydestile has seen the arrival of a “lake” in the field beside Hambledon Road and Station Lane as a result of water running off the road, unable to be carried away in blocked ditches and culverts. Below is the view looking towards Hydestile from the Milford direction. Old maps at the turn of the last century show a pond in the same location. 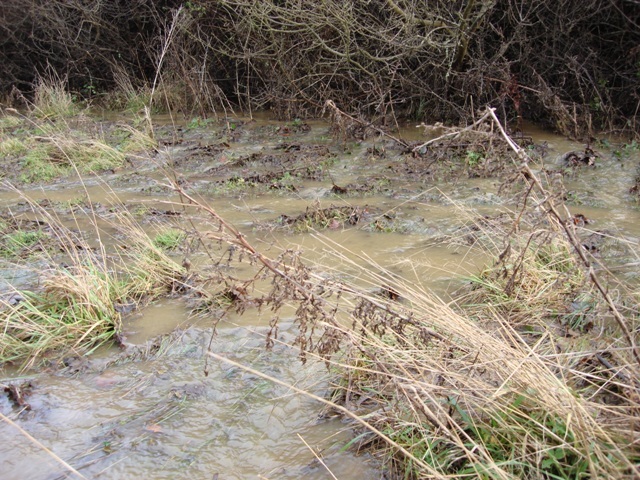 The following photograph shows water pouring over the roadside bank and into the field.